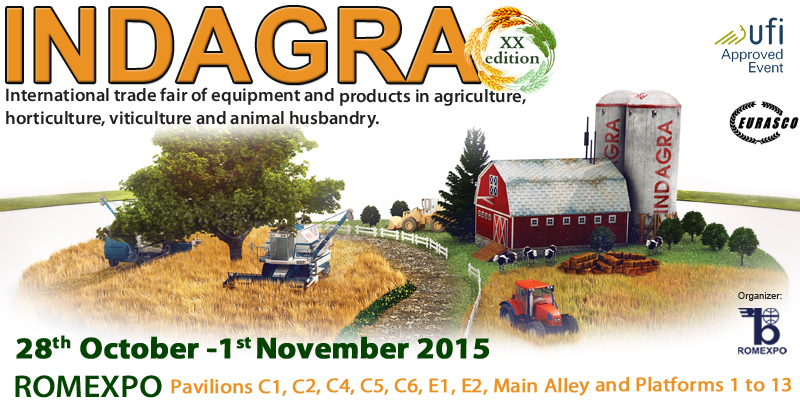 In 2015, the 20th edition of IndAgra will take place from October 28th to November 1st, at Romexpo Exhibition Centre, Bucharest. This is the biggest and most important agricultural event in Romania and Gimel Organic along with our Romanian partner Naturalia will take part in it. We will present our BIOfruit and BIOvegetables with clean BIOgraphy. You can find us in Central Pavilion, stand 212.